Two British ads ( links provided on the worksheet) with both oral and written comprehension activities. 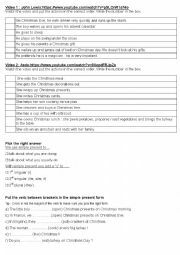 Then, some grammar about present simple and eventually a Christmas themed exercice. 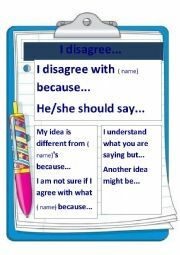 Very successful worksheet with pupils, beginners to intermediate. 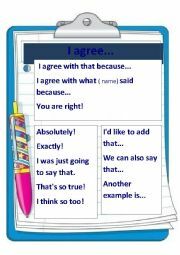 Printable resource that can be put up as posters in the classroom to help students give their opinion and have meaningful conversation. I am using a template created by Baiba. Enjoy! A worksheet linked to the teams playing the rugby World Cup. a great way to revise the names of the countries and nationalities as well as geography vocabulary.